Mark your diaries friends, July means Bastille Day and it’s going to be so Frenchy and chic all week as we celebrate! We head towards a very French menu for the week leading up to the 14th with lots of Philippe and Karine’s favourite dishes. On the Saturday Night is our annual special Bastille Day Dinner. A week not to be missed! Expect classic comfort dishes that celebrate French tradition, and Gippsland produce, like Duck Cassoulet, Duck a l’Orange, Quiche Lorraine and Crème Caramel on our Bastille Week menu. 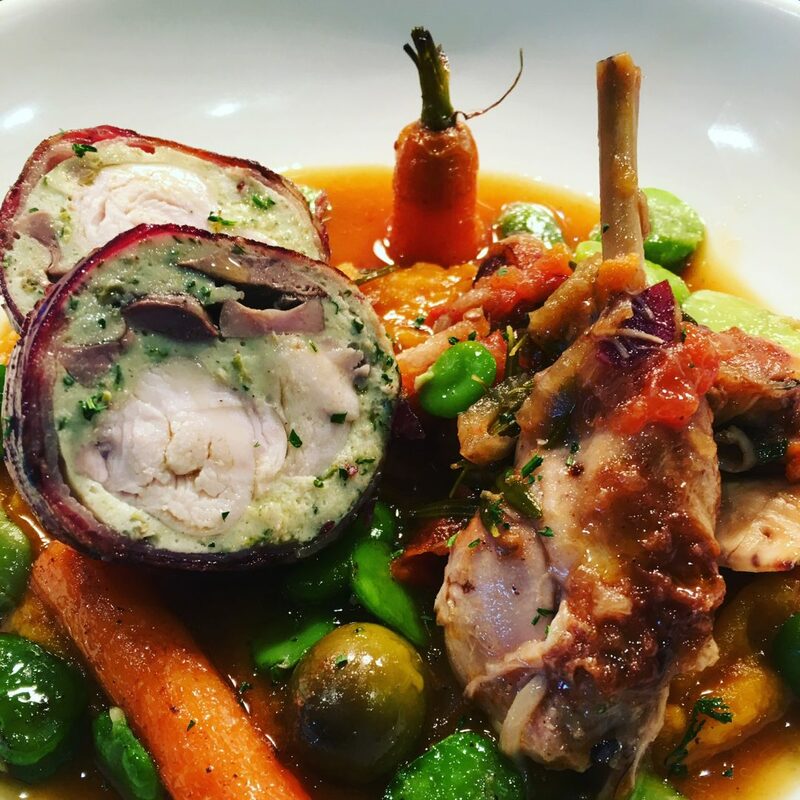 Pictured is Chef’s Ballotine of Gippsland rabbit with green olive stuffing from Bastille Week 2017. July update: Chef has shared a few of his menu plans for #BastilleWeekatCannibalCreek. All looking mighty tasty! Please also note: The conclusion of Bastille Week marks the start of our winter break with the last day of service Sunday 15 July resuming Thursday 16 August.